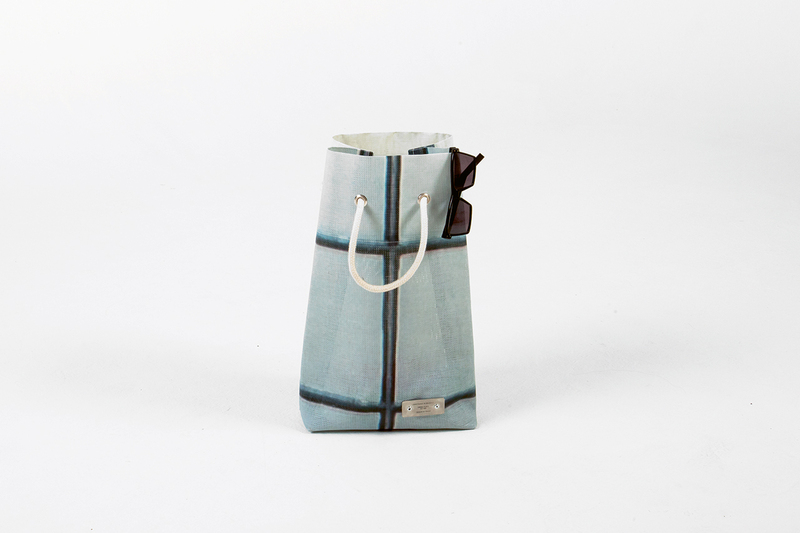 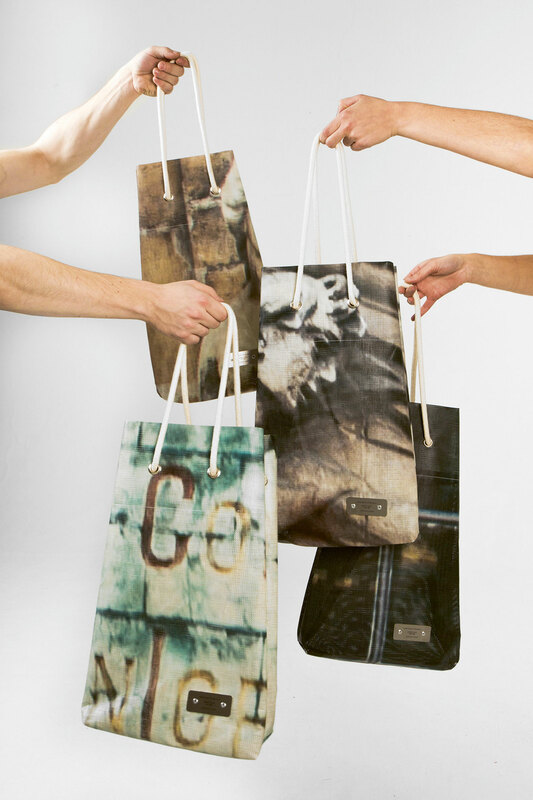 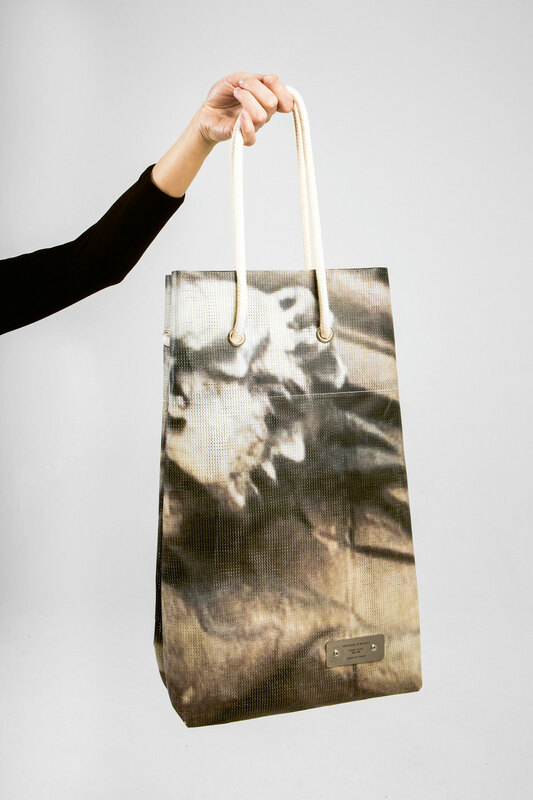 "Handymade in Brussels" is a unique collection of handmade bags; a pattern designed on the tarp that hung from the scaffolding during the renovation of buildings in the Grand-Place. 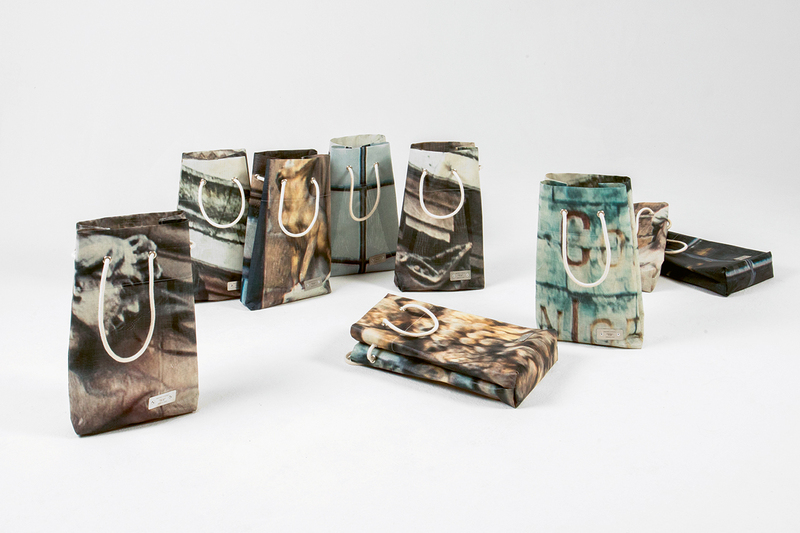 This project was produced in collaboration with l’Ouvroir (an adapted work enterprise), MAD- Brussels Fashion and Design Platform, and the ASPH. 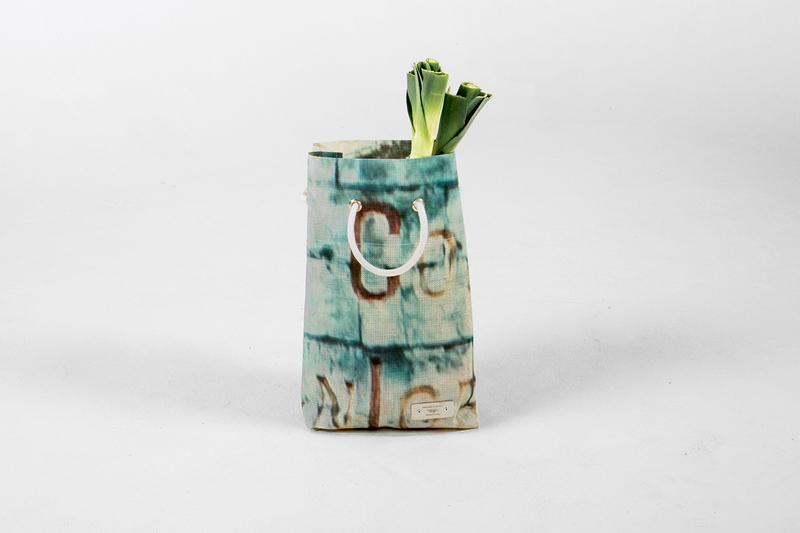 The aim was to repurpose what would otherwise be considered as waste material. 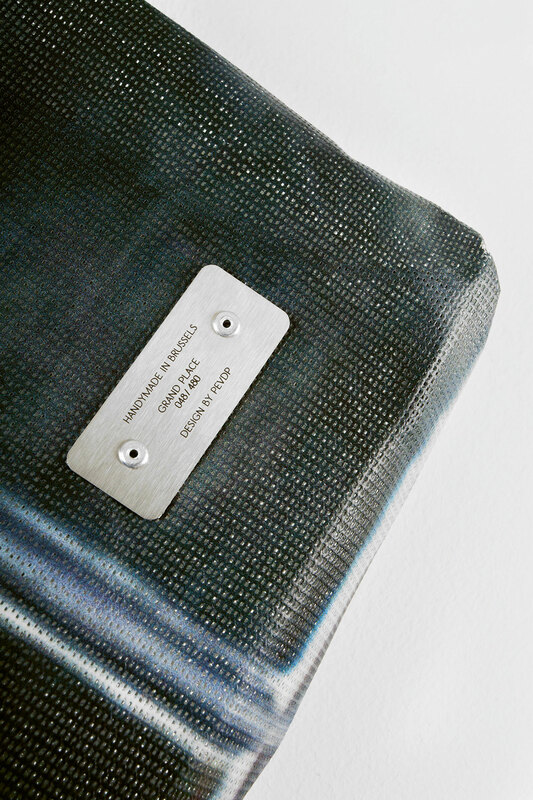 Each bag has been tagged with a metal plate numbered from 1 to 480, making it possible to pinpoint the exact location of the piece of tarp your bag is made from.